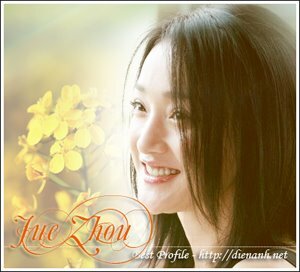 Zhou Xun, "the best actress of the 43rd Golden Horse film award, Jia Zhangke, winner of the Golden Lion for Best Film at the Venice Film Festival, and Chen Luyu, famous TV anchor woman, are among the eight celebrities that were awarded by The Bund magazine as the People of The Year 2006. The ceremony to felicitate People of The Year 2006 was held yesterday at Shanghai Museum. The Bund hopes to take advantage of the event to exhibit its commitments to bringing extensive coverage on innovation, development, people's emotions and growth engine of a city. The other five that received award from the country's leading upmarket weekly magazine are: Wang Chaoyong, Sponsor of China Team that competed in the America's Cup; Ji Qi, founder of Hanting Hotel chain and Ctrip.com; Uli Sigg, a well-known collector of Chinese contemporary arts; Zhou Caici, reputable philanthropist and daughter of Peking Opera master Zhou Xinfang; and famous architect Deng Kunyan.